Can You Spot the Monsters in This Medieval Map of the World? 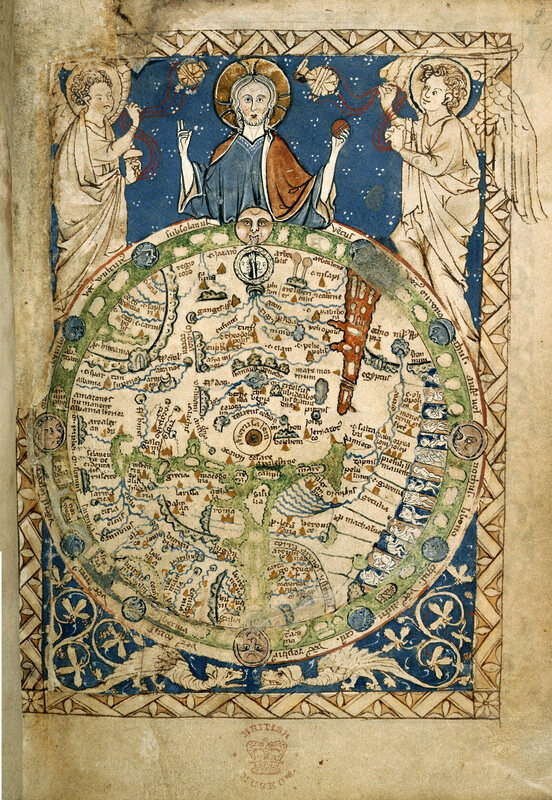 The Psalter World Map, created in the 1260s, is considered to be one of the great Medieval world maps. It’s unusual by today’s standards for many reasons: the fact that east, not north, is at the top; the forested sun and moon; the dragons holding the globe up at the bottom. But there is one image in the map above that is stranger than the others. The line-up of gruesome men is located near Africa. If you look carefully, you’ll find that two of them are headless—they have faces, but said faces are located in their chests. The Perfect 22-Foot Map for Your Ancient Roman Road Trip GPS Doodles Turn Your Workout Into an Art Project How Does 'A Wrinkle in Time' Look on a Map?